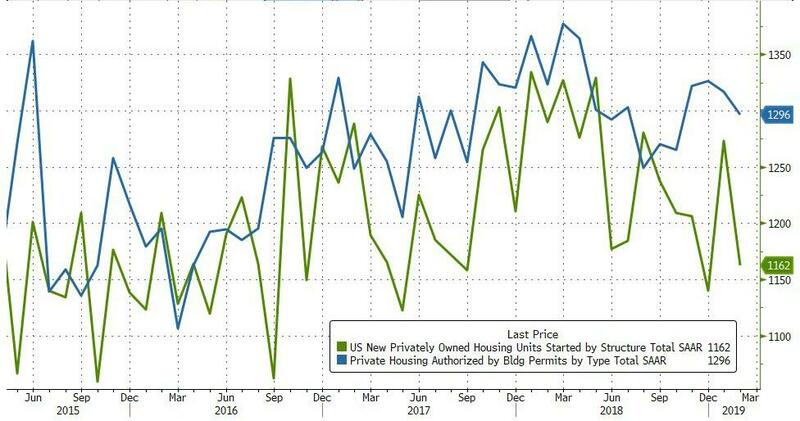 After February's explosive surge in Housing Starts, expectations are for some giveback in March (in Permits too), but the reversion was considerably bigger than expected (and revisions did not help). 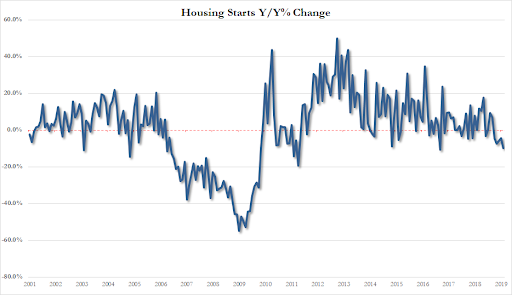 Housing Starts tumbled 8.7% MoM in March and the February 18.7% gain was revised down to +11.7% MoM. 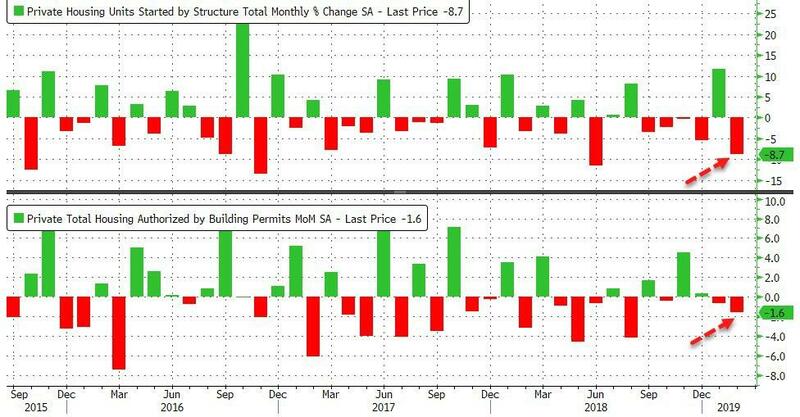 Building Permits slid 1.6% MoM in March and February's modest 1.4% gain was revised to a 0.7% drop. 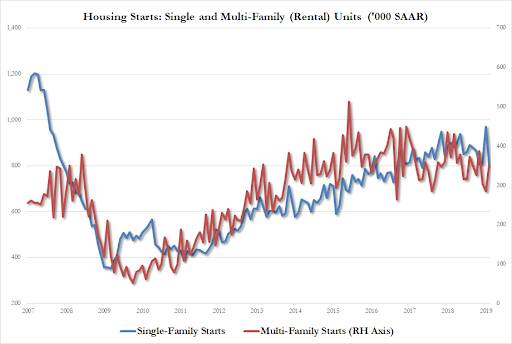 Three of four regions posted declines, led by a 30 percent drop in the Northeast, where single-family starts dropped the most in four years. 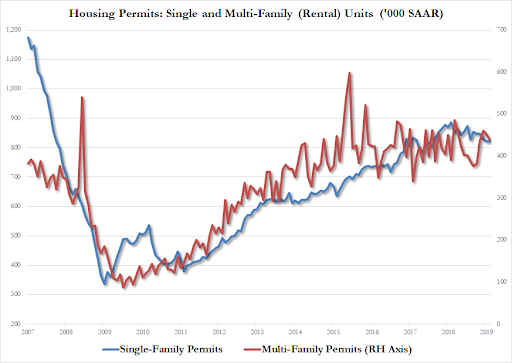 The West also declined as the single-family category saw the steepest drop in a decade.